Lenovo’s Motorola has been on a bit of an aggressive marketing strategy lately. After accusing Samsung of stealing its Always On display idea and taking aim at the company over the ongoing Galaxy Note 7 saga, Motorola is now also turning its attention to Apple’s new iPhone 7 range. 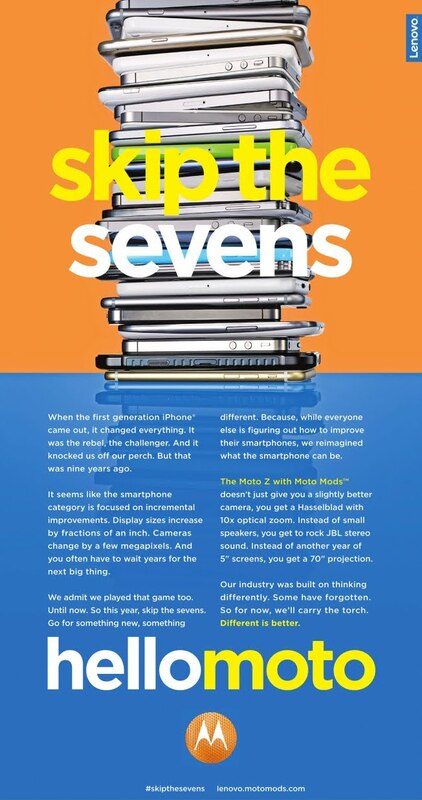 The company has just uploaded a video as part of its “Skip The Sevens” ad campaign, in which a focus group of Apple fans are “tricked” into believing that the company’s Moto Z is a new iPhone prototype. Work by agency Oglivy.